Based in Agios Nikolaos, Crete, Hotels and Villas in Crete is an experienced and reliable company that specializes in suggesting the most superior accommodation in Crete. On our website you will find a variety of luxurious private villas, beautiful complexes, 5 star hotels and cosy boutique hotels. Our goal is to ensure that we offer our customers top range accommodation and service, and that is why we visit and inspect all the properties presented in our selection ourselves. With many years of experience in the tourist industry and the extensive knowledge we have gained, we are trained to offer you high standard services. 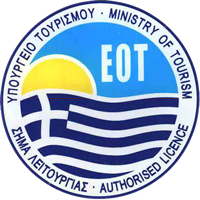 Hotels and Villas in Crete is a company registered with the GTO (Greek Tourist Organization) with the license number 1040E0000079001. All our people are friendly and helpful professionals. From the minute you contact us till the time you leave the island, we are available here to make sure that you receive top quality service. We will answer your question or request quickly, we will help you choose the best accommodation based on your needs and budget and we will solve any problem that may occur during your stay. We aim to make your accommodation as comfortable as you imagine and we will do anything to meet your expectations. Our priority is for you to stay stress free and enjoy a relaxing holiday. You are welcome to request any further help you may need to arrange and plan the holiday of your dreams. Do you require any of the following services? Just ask us! We guarantee that the prices shown on our website are the best you can find. You can also check our special offers, early bookings and last minute reservation deals by selecting “Show only Special Offers” on the search menu. Our online reservation system is on a secure server and all transactions are 100% guaranteed and safe. The system is easy to use and your personal details and information will remain private.